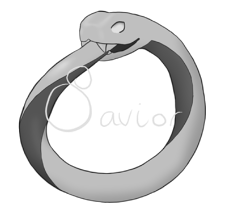 There are a lot of fun classes - and mixed classes - to choose from in Savior! From a mighty warrior, to a powerful mage. Below here are the major and minor classes which you can choose from. You can pick to specialize, or pick a class that's a bit of this and a bit of that. In Savior the choices are yours. And keep in mind - it doesn't matter what race you chose - all races are equally good at these classes. They're made for everyone to play! Warriors specialize in hand-to-hand combat. This class able to pick any two weapon types, and choose to either dual-wield, single-wield, board, or use those weapons with two hands. If for instance they choose 'swords' and 'axes' they can dual-wield both those kinds of weapons. They are the unequivocal masters of weaponry, and are considered stronger physically than other classes might be, and this extends to their muticlass options. Battle Mages are those that learned the arts of slinging their spells amidst the complex and ever evolving battlefield. This class can only choose one weapon type (to dual wield, single-wield, board, or use with two hands), and specialize in it. However they can also choose one element to go with that weapon to specialize in. Paladin’s are the clerics of the front lines. They sacrifice some of their options with weaponry as they can choose only one type of weapon to specialize in (to dual wield, single-wield, board, or use with two hands). However they can also heal or remove illnesses from themselves and others, or bolster their allies in combat. Tank’s are the toughest of the tough. They can shrug off small illusions, poisons, and some other ill effects with barely a second thought. Their ability with weapons are limited, and can only choose either heavy weapons or weapons that take no hands to hold (such as brass knuckles or gauntlets); but they make up for it with raw strength and ferocity. Mages are the masters of the arcane form. Mages can choose from all the forms of magic, knowing up to two different elements to add to their skill with basic teleportation which allows them to teleport roughly once every three of their posts, and prestidigitation (which allows for minor illusions such as making a coin appear or disappear) However they give up all weapons, using only items that act as focus' for their magic such as staves, wands, and potions. Necromancers are widely feared and respected with good reason. They can summon the dead from the ground and make an army from the enemies fallen in combat against them. It is the ancestors of the Necromancers in present day that gave rise to the first of the Dae’u. Like the mages and clerics they hail from they are largely only able to use items that focus their power rather than weapons, they also are unable to choose an element to draw upon. Assassin's use their mystic knowledge to become invisible, to trick the eye. They can make use of poison without fear of repercussion and strengthen or quicken their bodies almost at will. Assassins do not choose an element to wield, using their magic as an extended form of prestidigitation and are able to teleport once every five posts or so. They can however use small hand-held weapons to their advantage. Monks are warriors of the body, and their abilities with weapons are severely limited, being able to use only staves and small hand-held weapons. However they can heal themselves at an amazing rate, are difficult to poison or otherwise affect ill upon, and are deadly in their chosen bailiwicks. Shaman are masters of the potion. Using their knowledge to heal injuries, drive out ill effects, and even summon small spirits to confuse, annoy, or do harm of their own. They can use only small hand-held weapons, and foci for their magic. Summoners can summon a myriad of things to their aid. To heal themselves or their allies, to attack their foes, or to help them in the performance of various tasks. They are unable to use weapons aside from foci for their magic powers. Rangers are expert marksmen with their chosen weapons, and like other experts in their field they can choose proficiency with two ranged weapons. Furthermore they are less likely to spook indigenous wildlife or be noticed when they choose not to be, and their knowledge of the world makes them hardier than some. Beastmasters give up the more complex weapons of man to gain mastery over the creatures of nature, and can only choose one basic weapon to defend themselves with. They can choose to tame either a number of small animals, or a single protector with whom to bond. Arcane Archers specialize in a single ranged weapon, and a single element or force to strengthen their attacks creating unique and powerful attacks that their foes can find quite... surprising. Druids give up the weapons of man entirely in order to become weapons themselves. Druids are a force of nature quite literally, able to change forms into the most powerful of animals or become minor elemental in order to protect themselves and defeat their enemies. If they choose the latter, they can choose only one element and must remain of that elemental alignment permanently.